Iwama Aikido is a style of Aikido that originated in Iwama Japan. When Morihei Ueshiba (Osensei) retired to Iwama after WWII, he started refining all the martial arts that he mastered. Osensei fused the ken, jo and Taijutsu together. Saito Morihiro Sensei a native of Iwama was there during these years of refinement. The result, traditional Aikido was born. There are Iwama Uchideshi stories that says, the shift from Aikibudo to Aikijujutsu to Aikido happened during Osensei’s Iwama years. Other schools call the Aikido they do as ‘Iwama Style’ or ‘Takemusu Aikido’. Most Iwama practitioners would actually call call their Aikido ‘Iwama Ryu’. The Aikido is powerful and done with a full grip. There is a strong emphasis on Kihon (Basic and Solid) training. Dai Shomen Uchi as an Atemi is strongly present in a lot of the techniques. The Iwama Ryu practitioner can strategically use his Aikido for ‘offense’ or ‘defence’. Because the curriculum has more than 50% Bukiwaza, the Iwama Aikidoka has a loud and powerful kiai. Iwama Ryu is also known for the Aikido Bukiwaza ‘Aiki Ken’ and ‘Aiki Jo’. It is one of the biggest master mind groups of Iwama Aikido practitioners around the world. 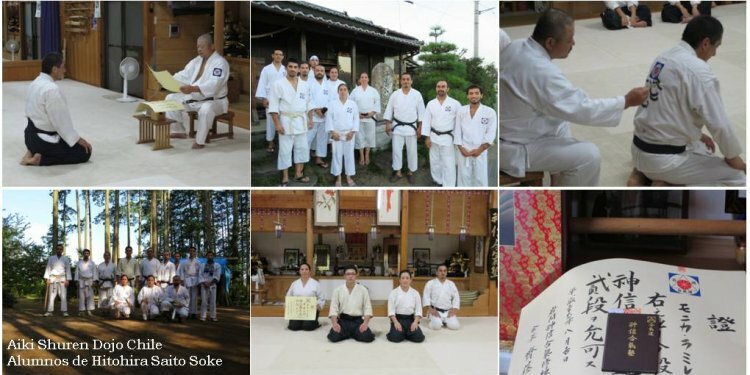 Other students (Soto Deshi) of Iwama Aikido around the world are also members of the exclusive society.